This is a ChessCreator.com digital Chess puzzle. 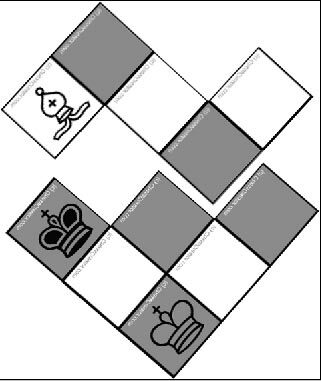 Simply put, these are a unique twist on regular Chess problems: created in PDF – featuring Chess themed, block shaped pieces – designed to print on normal paper or card – cut out, and then solve – if you can, that is! Each one is a mind-bending combination of chess, Tetris, logic problems and jigsaws. One simple objective, to assemble the pieces again – sounds simple enough, but it’s deceptively difficult to complete!